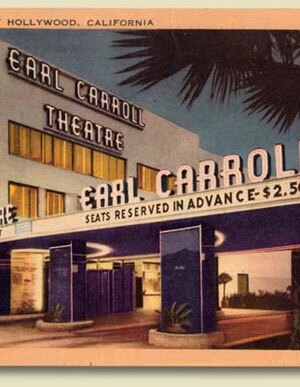 Ask Chris: What Happened to the Signed Plaques from the Earl Carroll Theatre? 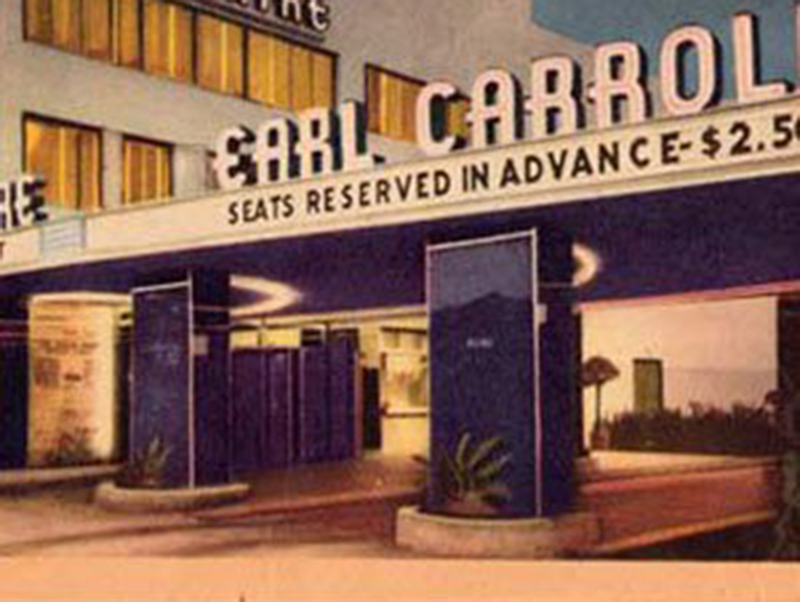 An old postcard showing the Earl Carroll Theatre on Sunset with a “Wall of Fame”—which boasted more than 100 concrete plaques signed by the likes of Cary Grant, Clark Gable, and Bing Crosby. What happened to the display? Carroll, a master showman, built the playhouse in 1938 for his revues, which were comparable to the Ziegfeld Follies. The concrete panels were affixed to the facade. The theater was sold in 1948 after Carroll died in a plane crash. In 1968, a Dutch art collective known as the Fool replaced the nameplates with a psychedelic mural of Greek muses and stored the autographed pieces in the basement. They stayed there until 1979, when Magic Castle founder Milt Larsen acquired them for his Variety Arts Center downtown. Gene Autry lassoed them for his museum later that year. Finally, Butterfield & Butterfield auctioned off 104 of the plaques in 1989 and 1990. Two bearing the names of Norma Shearer and Amos ’n Andy had been left beneath the theater stage. They were put on display until 2006, when the property was sold again—it’s now the Nickelodeon Theater—and the owner gave the pair to the handyman.